Sails to be reviewed for racing use. Suitable for cruising. - light anchor = 16 kg, 5m chain (diam. 8), 25m wrap (diam. 12). Fast cruising/racing sailing boat for sale in France. 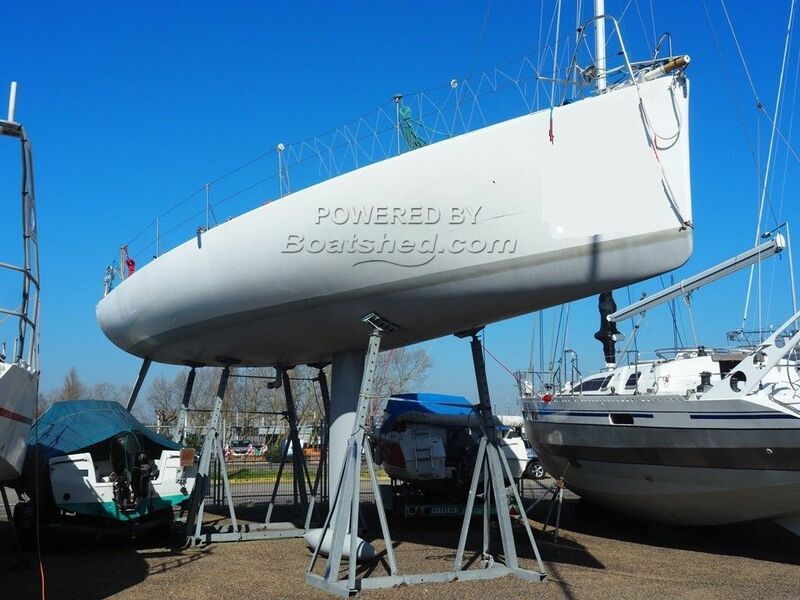 Boatshed Vendée is happy to offer this Pogo 40 for sale. Built in 2007, this Pogo 40 belongs to the 1st generation of the Class40 fleet. Once on board, I was happily surprised by its very good general condition. Eventhough a good brush stroke on the deck would do him good. The interior has quality electronic equipment, and its ergonomics makes you want to cruise fast and far on this boat that has a sailed a couple of time across the Atlantic and many other races. For any information or organise a visit, please contact Fabrice, your local broker in Boatshed Vendée. This Pogo Class 40 has been personally photographed and viewed by Fabrice GUYON of Boatshed Vendee. Click here for contact details.